GTS car rental provides leading cab services from Dehradun to Ranikhet. Its customized service and facilities help our clients in getting exceptional cab service in all over India. One has unlimited choices on our list whether you need a taxi for local or outstation, one-way or round trip. GTS tries all the best possible way to help you through 24x7 customer care support. We are growing with an objective of felicitated taxi service. 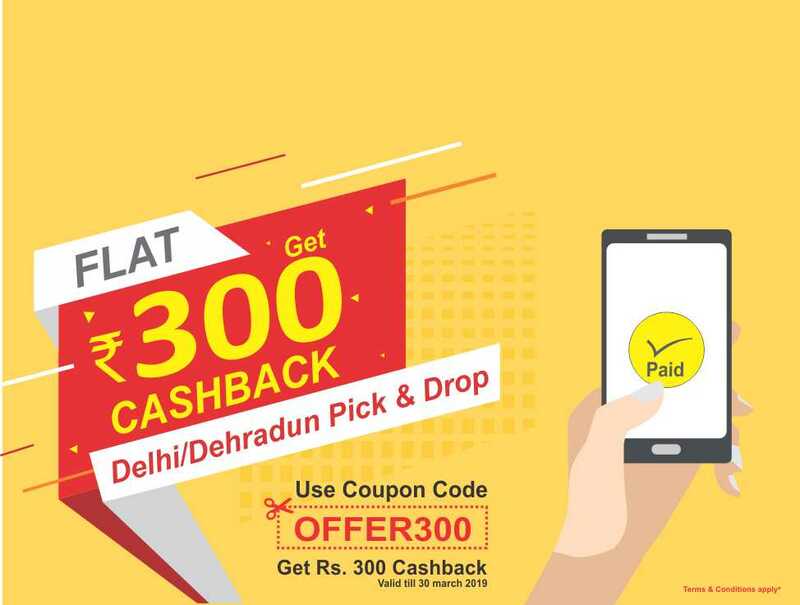 Known as in providing you the most reasonable and reliable taxi services all over India, we are committed to making your journey enjoyable, comfortable and memorable. Top-notch facilities are available here considering each customer’s demands and desire for the quality taxi service. Ranikhet is a hill station and cantonment town in Almora district in the state of Uttarakhand. Military Hospital, Kumaon Regiment (KRC) and Naga Regiment and is maintained by the Indian Army are situated here. This picturesque hill-station was re-discovered by British. Ranikhet is at an altitude of 1,869 metres (6,132 ft) above sea level and within sight of the western peaks of the Himalayas. Ranikhet is vastly rich in flora and fauna the pine, oak, and deodar forests host an array of wildlife including leopard, leopard cat, mountain goat, barking deer, sambar, pine marten, Indian hare, red-faced monkey, jackal, langur, red fox, and porcupine. Places to visit include famous Jhula Devi temple, Upat Golf course, Ashiyana Park, Haidakhan temple, Mankameshwar temple and many other beautiful and enchanting much watch sites. It is 374 km distance by road or almost 9 hr drive from Dehradun to Ranikhet. Give GTS car rental an opportunity to make your vacation a memory trip. We provide you excellent services to make your journey safe and comfortable. Our well-trained drivers will guide you and make sure you reach your destination on an optimal time. Just roll back on your seats and enjoy the scenic beauty with your family while traveling. At GTS you can book a cab in accordance with your own rates. GTS has online booking option which makes it more customer-friendly it also has some exciting offers. Booking can be done easily hassle-free manner. We provide with low-budget, economical travel packages suitable to customers personal requirement. 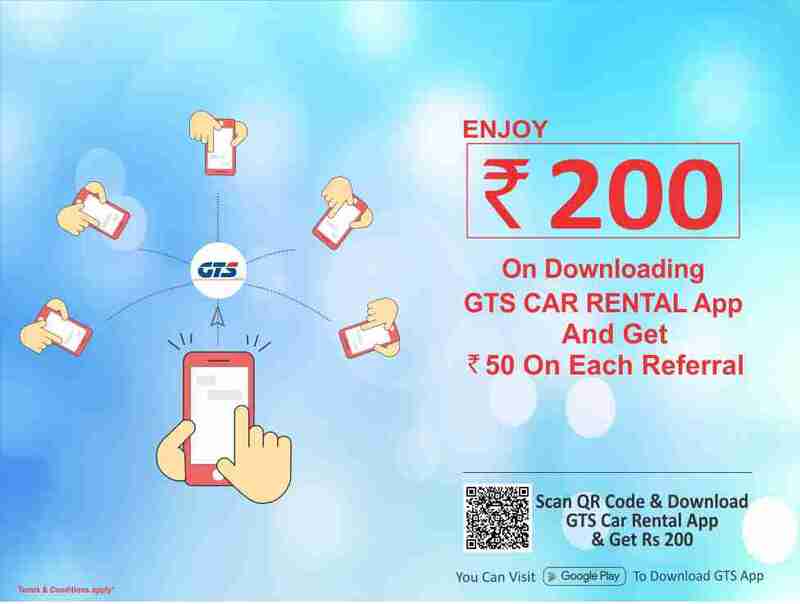 Special offers on your cab booking via GTS Mobile App will worth your money saving and let you enjoy and experience the most reliable GTS Car Rental Service. Our list of services includes Local pick-up and drop service, Outstation or Round-trip taxi services and pick-drop facility from airport/railway station. With our expert drivers, your trip will be trouble-free. GTS cab service is also available in AC/NON-AC Clean Cars, Spacious cars. Take a ride with GTS Car Rental Service and enjoy your trip. So, now choose your way of booking GTS cab. You can simply give a call to 8191-00-8191. Our 24x7 customer care unit is to support you anytime or anywhere.